Arriving in Bern, Switzerland was nothing short of magical. 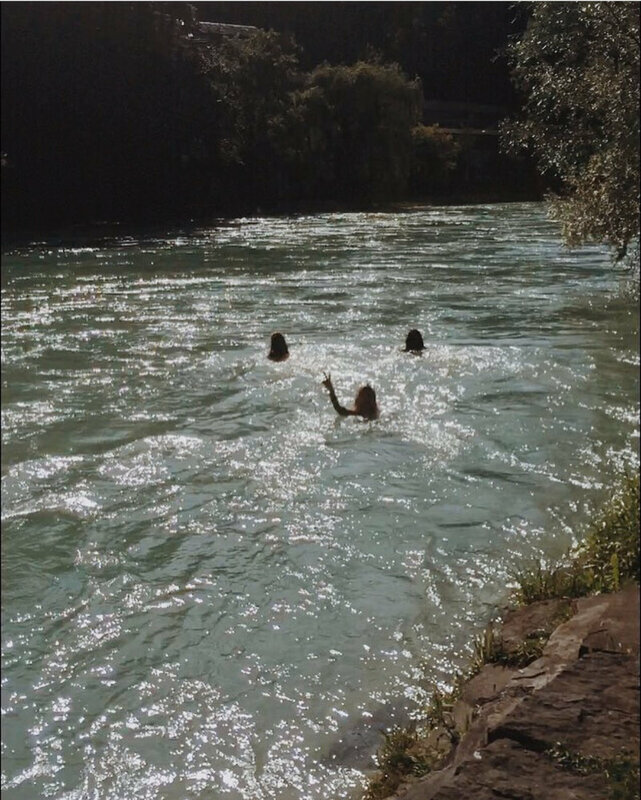 Upon landing in the city, we met up with our host, and within the hour, found ourselves in the Aare River (pictured below). Our surroundings were completely picturesque. The quaint town looks like a village out of a storybook, complete with a medieval clocktower and cobblestone streets. The city is surrounded by mountains, and in the middle of those mountains, the Aare. The current of the river was wildly strong, so we could hardly contain our laughter at how quickly we were moving along. My friend Sara, also hosting us, then took us to a bridge that strattled the river. We climbed up over the railing, screamed, jumped off and plummeted into the freezing, yet completely wonderful waters. Being in that river was absolute freedom. I did not have a care in the world. I felt completely full of life and deeply at peace. ”Bern (River Lament)” is one of the most vulnerable songs I have written to date. The lyrics reflect exactly how I felt in that moment. I felt like I had nothing to give. I felt like whatever I did have to offer still left me questioning if anyone actually wanted me around. This song is me coming to terms with these looming questions in a very dark time. Needless to say, there were many tears that came in that 3AM hour I wrote it.